In 1961, St Patrick’s Athletic beat Drumcondra to win the FAI Cup. While it was their second cup win in three years, that was to be it until 2014, with seven visits to the final proving unsuccessful. For the 2006 decider, the last at the old Lansdowne Road, Pat’s – normally red with white sleeves – lost the toss for colours against the stripes of Derry City and turned out in a new change kit, which had been premiered in the last game of the season, against Longford Town. Featuring blue and dark red stripes with navy sleeves, shorts and socks, it was dubbed the ‘Patselona’ kit and, while it featured in a cracking game, it wasn’t a lucky charm as Derry won 4-3 after extra time. 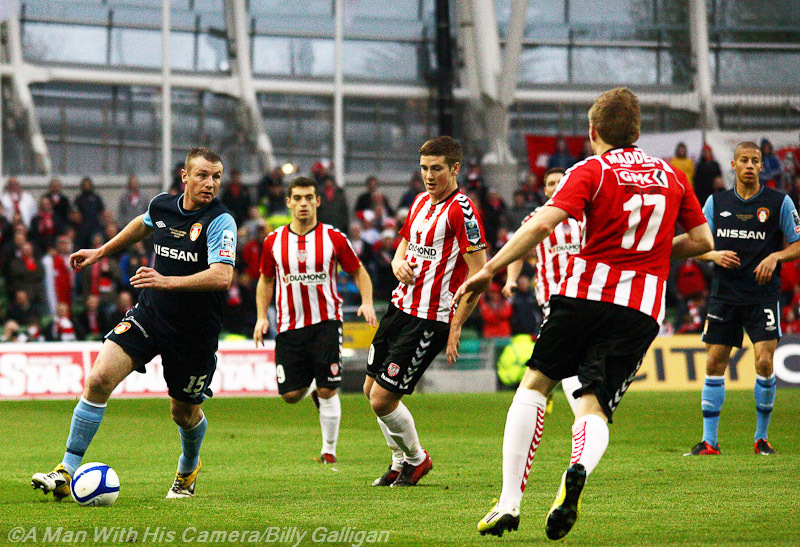 In 2012, Pat’s once again made it to the final, again Derry were the opposition, again Pat’s had to change (two-tone blue this time) and again the cup went north after the game went to extra time, 3-2 the score. For the 2014 season, the Patselona look was revisited, albeit without navy this time (a chequered effect on the blue stripes made them look lighter than the shorts). And, as luck would have it, they reached the cup final – yes, against Derry, who again had choice of colours. This time, though, it was St Patrick’s day, with Christy Fagan putting them ahead shortly after half-time and making sure of the win with a second goal in injury time. It’s surely an alternative colour-scheme that will be revisited in the future.